It was about time we refreshed our wardrobe. We're pleased to introduce you to the latest evolution in Lyft trade dress: our official emblem. The emblem fits comfortably in a plastic sleeve that sticks to the bottom right corner inside your windshield. Slide it in when you're in driver mode, and take it out when you're, you know, just drivin' around. We've already started shipping these to drivers nationwide, and yours should arrive in a week or two. What about the Cuddlestache? I want a Cuddlestache! Me too! We've got truckloads of Cuddlestaches on their way to HQ, and in the coming months we'll be distributing them to drivers everywhere. 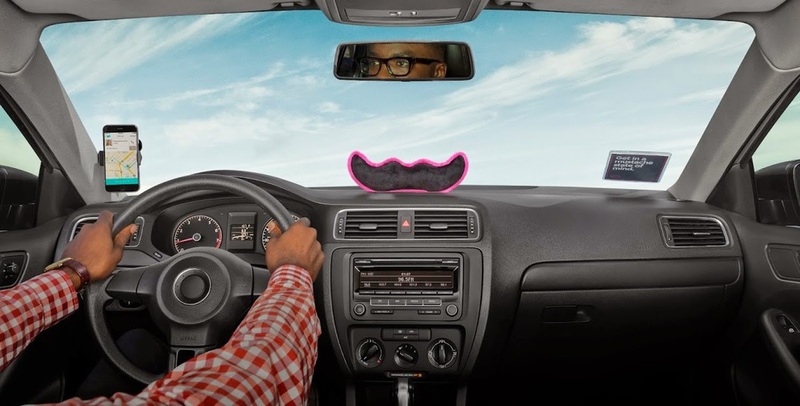 Once we've all got one, both the Cuddlestache and the emblem will be required for Lyft driving. The iconic pink ’stache remains dear to our hearts, and for those of you lucky enough to have one, you're welcome to rock it as proudly as ever. We listened to feedback from drivers who felt the Carstache could be improved, and designed the emblem to be lightweight, easy to attach, and, since it goes on the inside of your car, 100% rain resistant — I'm looking at you, Seattle! Once your emblem arrives, follow the instructions to attach it on your windshield. Snap a photo for the Lounge! We can't wait to see your stylish new look.